Quality Steak at Hurricanes Steakhouse Surfers Paradise opposite the beach. The 650g TGrass Fed T-bone is simply mouthwatering for $55. So we were looking around Surfers for some good food, which can be hit and miss. So sometimes we tend to stick to what we know. We’ve been to Hurricanes steakhouse in both Bondi and Brighton Le Sands in Sydney and were quite satisfied each time. Especially when they have their 1kg T-bone going. Hurricanes Steakhouse at Surfers Paradise is located 1 floor above the ground right opposite the beach. So I was disappointed to be seated without a window seat, even though there was one available. Before we had a chance to request a move to the window, other patrons were placed there. When we did start to get a comfortable a family of four with 2 little ones were seated right next to us, crawling all over the joint and being little pests as they do. I get that people have kids, I do but there were ample spaces to seat them away from a couple enjoying a quiet meal. I don’t know if we got them on an off day. But Hurricanes really needs to get smart about their seating and service. On this occasion we opted for the 650g Grass Fed T-Bone, which was juicy and tender, id rate it 8/10 for the price. The steak is quality and a real value for money. We do rate the food! I’m going to keep this review short otherwise I’ll keep ranting about our seating and waiting. Do We Recommend Hurricanes Surfers Paradise? We recommend the food at Hurricanes Surfers Paradise. Take that how you will. Will we be back? If we can’t get a seat elsewhere and want a good steak yes. If we do go back we’ll be requesting a window seat beforehand. We like to be relaxed and enjoy our meal when paying in excess of $130 for 2 people. 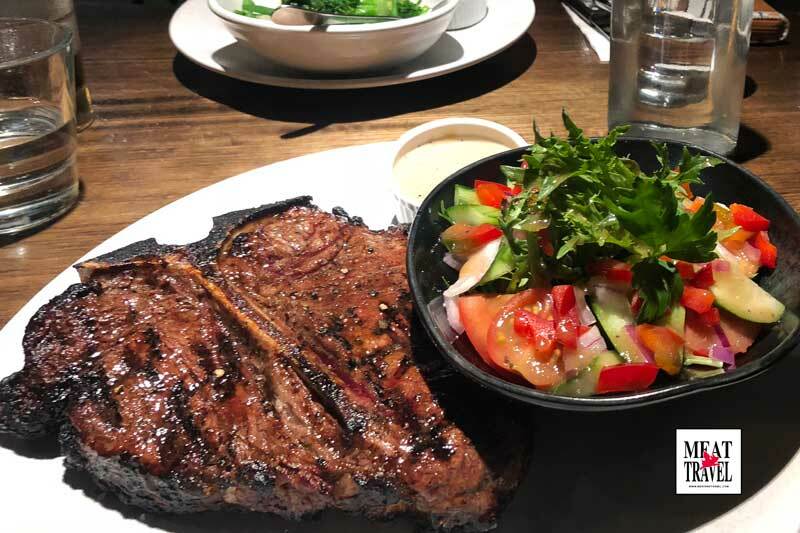 Hurricanes Steakhouse Surfers Paradise - 650g Grass Fed T-Bone is tops! Did it fill us up? Will we be back? If we can’t get a seat elsewhere and want a good steak yes. Otherwise not until they get smart about their seating and timely service We like to be relaxed and enjoy our meal when paying in excess of $130 for 2 people.